Future Trends: What Lies Ahead for Firefighters & Emergency Personnel in 2018? Evolution is a curious thing. That’s because it never stops. At any moment in time, we are in the midst of it. Change is a constant in life. We talk about the future. We try to predict, and even shape it. And then one day we wake up, and we’re living in it. But, not for long. Because just as quickly, the future becomes the past and we’re on to something new. That said, like every good scout knows, we must always be looking ahead– to be prepared for anything the future might throw at us. For firefighters and emergency personnel (and yes- scouts, too), this is more than just a motto; it is duty. So how is the world changing for fire service and emergency workers as we move into 2018? Here are a few trends to consider. 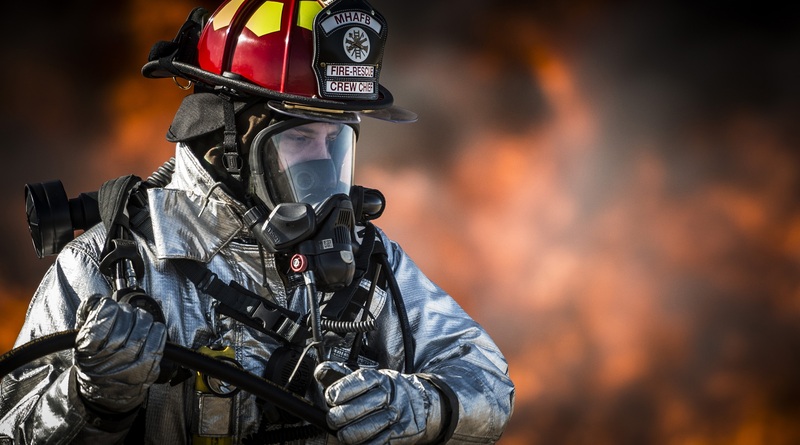 Exactly what the future of fire services and emergency response will look like in the next year – or five, or ten – is uncertain. What is clear is that there will continue to be plenty of threats and a need for services. According to the National Fire Protection Association (NFPA), in 2016 there were 1,342,000 fires reported in the U.S. (475,500 structure fires, 173,000 vehicle fires and 662,500 outside/other fires). Total fires were down only slightly from 2015 (1,345,000), but have declined a remarkable 59% since 1977! Advances in materials, construction, prevention and safety measures across many areas of society have generally led to a significant reduction in fires over the past 30 years. Yet, according to the NFPA’s January 2017 Trends and Patterns of US Fire Loss Report, the numbers of fire department incident responses have nearly tripled during this same time! Why? Because of the increase in medical aid and rescue calls. Incredibly, in 2015, only 4% of all fire department responses were to fires! Nearly two-thirds (64%) were medical assistance and rescue calls. Emergency Medical Services (EMS), including Emergency Medical Technicians (EMTs) and Paramedics, have long been a part of fire services. While some in the past have grumbled about this cross-pollination as diluting to the core mission of fire services, trends clearly show the increased demand for it including the deliverability of Advanced Life Support (ALS). Just as with the military or business, today’s fire service (and tomorrow’s) is increasingly about agility, flexibility, rightsizing/staffing, and evolving to serve modern needs. As Baby Boomers continue to age, and the over-65 age group’s share of the population continues to balloon in the years ahead, fire services and EMS will only become more tightly intertwined via cross-training and staffing adjustments, redesigned and deployed apparatus, and interdepartmental operations coordination. What else is driving change for the fire service in 2018? One hard-to-miss trend is America’s exploding opioid epidemic. Opioids are a class of addictive painkillers that include oxycodone, hydrocodone and fentanyl, which can be abused to produce highs like morphine and heroin. According to the New York Times, drug overdoses have become the leading cause of death among Americans under 50, including a 19% jump from 2015 to 2016, with evidence suggesting this worsened in 2017. What else may be keeping firefighters and other first responders busy in the years ahead? While our country has successfully avoided another terrorist attack the size and scale of 9/11, sadly, the frequency and severity of terrorism events and mass shootings only seem to be escalating. The Boston Marathon bombing, San Bernardino attack, Orlando nightclub shooting, unprovoked attacks on police officers in Dallas and Louisiana, church shootings in Charleston, SC, and Sutherland Springs, TX, and the incomprehensible Las Vegas, NV shooting that left 59 dead and 527 wounded, all suggest that frontline emergency workers need to be ready for anything – and everything. Even the threat of a nuclear attack by a rogue state like North Korea or a terrorist dirty bomb is increasingly in the threat conversation. It’s not unreasonable to expect to see more departments training greater numbers of firefighters in HazMat response. Thousands of firefighters are already exposed to chemical and biological hazards when performing their jobs every year. But given the increasing threats posed by terrorists and sociopaths, the potential for Pandemic Influenza and infectious diseases like Zika and Ebola, and the increased proliferation of toxic chemical compounds being transported on our roads, one can imagine more emphasis in this area. As for direct fire response, while vehicle fires have fallen 62% from 1980 to 2015, the declines seem to have leveled off since that time. Will an aging population driving more electric cars with lithium batteries or (gulp) self-driving cars cause rates to rise again? It’s hard to predict, but worth pondering. What does this mean for 2018? Well, that depends upon the weather! But it seems that the fire service will increasingly need to be prepared to respond to larger, more frequent and stronger natural disasters. While predicting the weather has never been easy nor exact, we’re getting better at it, along with many other things. The rise of predictive analytics, which leverages computer modeling, machine learning, and data mining is helping us predict everything with more accuracy from natural disasters to terrorist events. This data will continue to be leveraged by more fire departments in the future. GPS (Global Positioning System) and drones are two more technologies you can expect to see more of in 2018, and beyond. A recent article in the NFPA Journal highlighted how drones helped assess aerial damage during Hurricane Harvey by taking stock of roads, bridges, and infrastructure, finding victims in need of assistance, and helping emergency personnel avoid hazards. There weren’t enough operators to fill the need, so you can expect to see fire departments addressing this gap in the areas of equipment, staff and training. We already mentioned how fire departments are having to become more agile in response to the rise in medical emergency and rescue calls. This will be further evidenced in the deployment of an increasing number of smaller Rapid Response Vehicles (RRVs) equipped for ALS vs. larger traditional engines in the future, along with a coordinating mix of personnel and equipment. Future fire teams may even include more robots! At the very least, perpetual innovation in fire suits and firefighting apparatus will continue to help make the work of firefighters safer and more effective. Although it is fun to think about the future of the fire services and try to imagine what it might look like in the years ahead, there are also some things that will never change. People will always be our most valuable asset. And whether it’s walking into a fire, wading into floodwaters or prying open a smoking car, you can rest assured that these courageous men and women will always put the lives of others before their own, today and tomorrow.